If you’re thinking about starting a novelty T-shirt selling business, we’re here to help you with how to start it. Sometimes things happen that you’re committed to doing one thing, but don’t have the clear idea about that. These may make you frustrating. In this case, a little help can overcome your frustration and show the right path to success. Although t-shirts are a blank canvas for artists and entrepreneurs alike, they’re a classic piece of casual wear. That’s why the business of selling t-shirts has become a popular business choice. Moreover, whether it’s your first or second business, starting a t-shirt brand is a great and inexpensive way to start an own business. Bangladesh is not only one of the largest producers of T-shirts but also the first-choice fashion of young people. But, there’s no doubt you’ll be facing some stiff competition with the growth in popularity of t-shirts businesses. You’ll need to have t-shirt designs people love, a brand people cherish and quality people trust to break through. This is because starting a t-shirt business is easier and more affordable than ever with the Internet and digital printing resources. However, it still requires a plan to create a t-shirt that speaks to the masses. If it’s your first time starting an e-commerce business this may sound like a daunting process. But, you need not be worried as we’re here to help you. In order to provide you with all the necessary information you need to create a successful T-shirt selling business in Bangladesh, we have created this article with few steps. You may find it cheap and simple to get your store up and running if you have already started your e-commerce journey. So, let’s know the steps that you need to start a novelty t-shirt selling the business. You’ll waste time and money if you don’t have a right plan. Although it’s sweet tune to hear about t-shirt selling, it’s not so easy, especially, it gets harder when you’re not arranged with all sides. Like all other business, your business plan outlines your product, the ideal market, your financial projections and sales goals. So, if you want to enlarge your business period and success in it, there is no way of getting a well-balanced business plan. Also, we know that planning is a half done of a job and without planning all are ruined. That’s why the first and most important step to writing a business plan for your business. 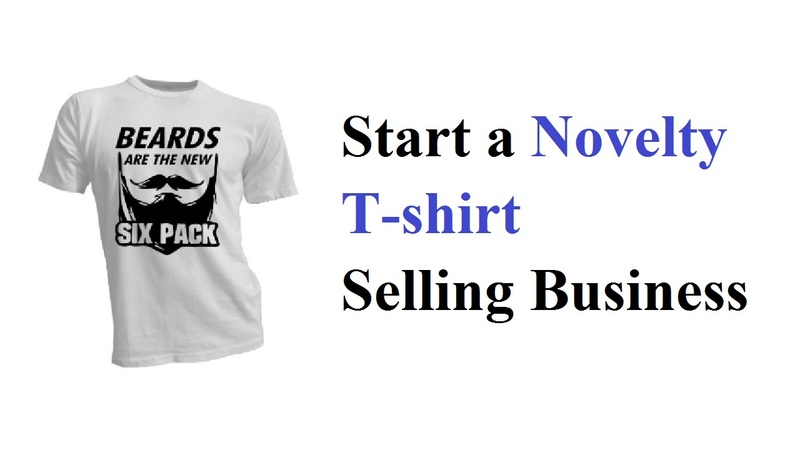 You may find it useful to find a niche for your t-shirt selling business as an entrepreneur who is looking to start a successful T-shirt business. As it’s already said that the business is a competitive field, finding a niche can really help you to create a successful busy from the crowd. Also, your chances of success will be considerably higher if you can manage to create a T-shirt business. But, that must be true either unique in terms of brand image or the products that are available. As a result, do your research taking some time if you’re determined to create a niche business. In this case, you can take a look through others similar business that you like and find out some new business ideas for your own. Finally, decide your own niche that you think perfect for you. You need to determine your business structure either a sole proprietor or LLC and obtain needed licenses and permits along with a business name. Also, you need a trade license and you’ll get it from your nearest city corporation or municipality office. On the other hand, you may not need a sales tax permit if you’re using an online t-shirt service and sell your shirt through its online portal. For all type of business, you have to get Tax Identification Number (TIN) and Business Identification Number (BIN). When you have these all legal documents, you’re well set to start your t-shirt selling business in Bangladesh. Although they all start with knowing the best buyer for your t-shirt, there are many ways to market your new t-shirt. So, this is the best opportunity to show off your t-shirt in front of the buyers. So, market your t-shirt where zombie-loving high school student’s hang out online and off if you’re target t-shirt buyer is a zombie-loving high school student. Besides, you can include in your marketing idea the social media platform, like Facebook, Instagram, etc. You’ll need to stand out in any way that you can because running a T-shirt selling business is highly competitive. What you can do about this is by sourcing the highest quality products which your business can afford. It’ll build a bad reputation for your e-commerce store if your customers find that your products are shrinking or ripping after a couple of wears. But, your store will gain a great reputation if your business is stocked with high-quality products. Because of this, we highly recommend using the best quality products for your business. This is essential to know the other clothing labels you’ll be competing with. You should watch what all the other funny t-shirt labels are doing if you’re starting a label based on humorous t-shirts. Because it may spur some new ideas for your own business strategy keep tracks of things like their design variety, pricing, and promotion. So, how to know it? If you read the blogs of competitor brands and signing up for their newsletters, you can know them easily. You’ll be remaining to keep up using this business. Do market research to determine if your t-shirt will appeal to buyers before investing time and money. What you have to do at first is deciding who the ideal buyer for your t-shirt idea would be. After that, you have to seek out members of that market to get their feedback on your idea. When you’ll perform this market test of your design, you’ll understand how your design is demanding in the market.